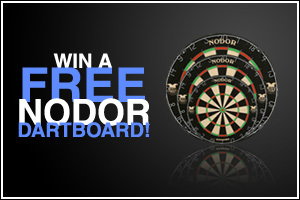 Who Wants to be the King or Queen of the Darting Hill? In order to grow our events and make them Bigger, Better and More Inclusive to players in Southern Ontario we're testing some changes to the format. King and Queen of the Hill events may now have qualifying events associated with them. Each Qualifying Event is a Standalone event. In some cases, 100% of the buy-in is paid back with Finals main event prizes additional. With others, a portion of the buy-ins are returned as prizes on the day, with the balance paid out as Finals main event tickets. In cases where ladies (especially in doubles) have not shown in sufficient numbers to have their own event and are given the option to play with the men, but none make it into the money rounds, prize pool money will be placed in the general pool for the respective ladies finals. As we will be holding Qualifiers at different locations around the province, not all Qualifiers will have the same format or start times. It is therefore important to view the flyer for each event. Our goal is to build a high level dart tournament for southern Ontario dart players to participate in, while at the same time grow the base of local competitive dart players as they prepare to go to the next level. In addition, we will use these tournaments to bring players into the tournament system, especially for their first appearance in a tournament. These are generally players who would not otherwise be involved in tournament-level darts. Any dart players of all skill levels are welcome, however anyone under the age of 18 must contact us in advance for permission. Should permission be obtained for those under 18, they must be accompanied by an adult for .the duration of a given event. For liability reasons, children younger than 13 are not permitted on the premises during the event without prior permission of both the venue and the organzier. Ticket prices may vary for different events. Check out the individual event flyers. 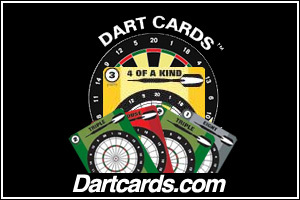 A small number of tickets are also given away in our efforts to promote the sport and play of darts to various players, groups and organizations who are supporters of darts. Winners of our King and Queen of the Hill events are also awarded a FREE ticket to the next event in the same series. No promotional tickets given away for King of the Hill Elite events. 501 - Round-robin (groups of 5, preferably). 2 or 3 legs per match. Top 2 players advance from each group and the playoffs are generally: Best of 3, Best of 5, Best of 5, Best of 7, and Best of 9. Each player will play 12-15 legs during group play (depending on number of players in their group), which usually lasts for 2.5 to 3 hours. Ties within groups are decided by take-backs for 1st place in a group, single leg of 701 to determine elimination spots. Unless stated otherwise, groupings will be determined through a random draw on the day of the tournament and will be drawn once all registered players have been finalised.